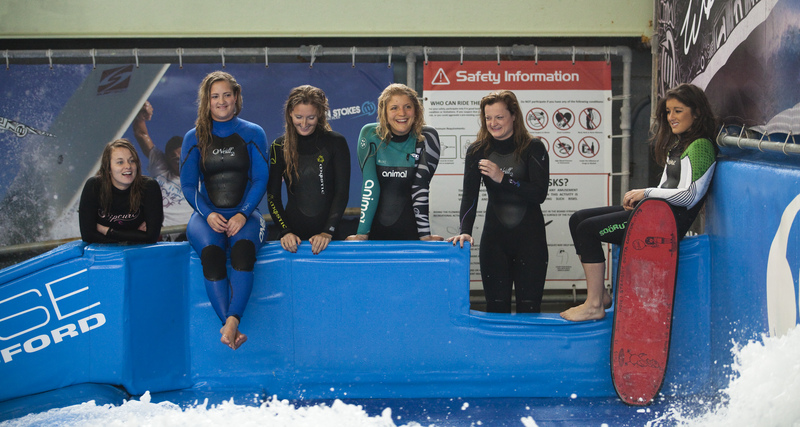 To follow on from our WakeGirlsGo…Surfing, Steph Caller organised for us to hit the FlowHouse in Bedford. 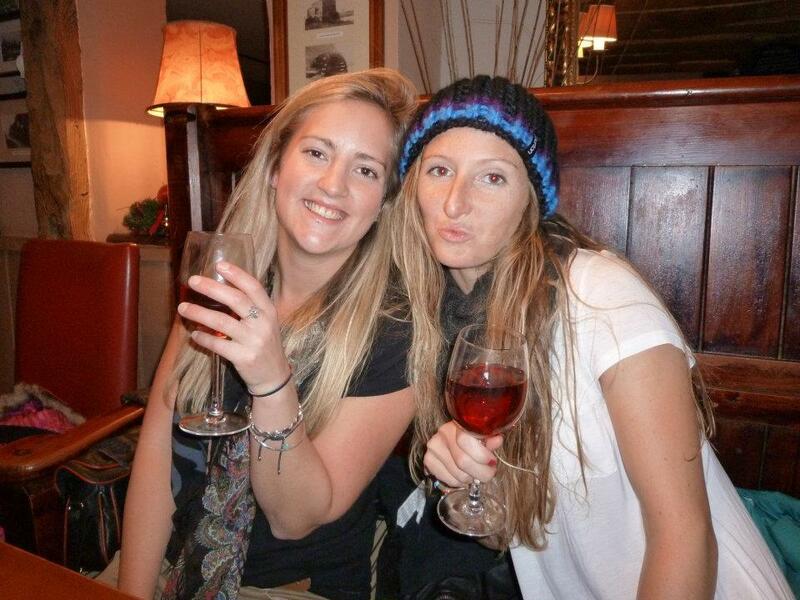 The surf weekend was so much fun that we were all gagging to get back together for some shenanigans. The group was Steph, Sarah Kingdom, Jules Haley, Sophie Cordery and Jo Andrews, Tor was absent but she was at the Worlds in Abu Dhabi, valid excuse (which she came 3rd in!!). The weekend started at WakeMK where some of us braved the 8c water to warm up for the Flowrider which was also a great chance to get some filming done. The conditions were pretty baltic so we headed off to get warmed up, and where else better to do this than in the local pub which were serving mulled cider. Its amazing. Fact. Full of Christmas cheer (only one cider), there were four cars in convoy along the winding roads over to Bedford. I’ll be honest, the thought of getting wet again that evening was not appealing, but once we’d settled into our dorm room we were changed and totally up for it! 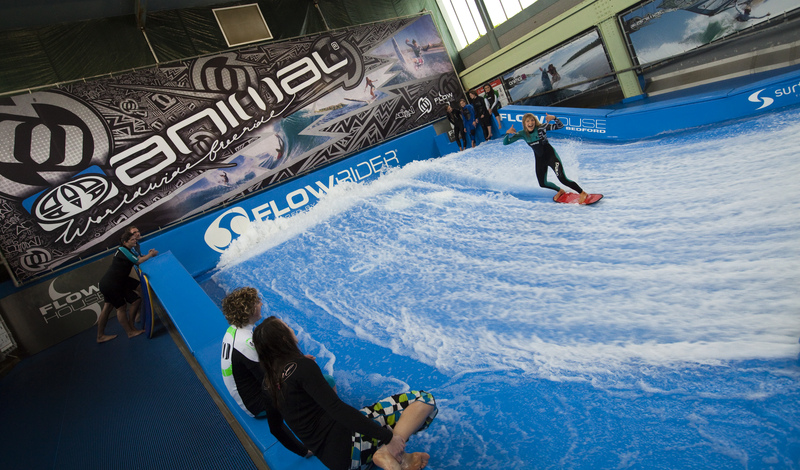 Adam, our instructor, had us on body boards to start with to get the feel of the flowrider. We were mastering barrel rolls and body surfing just fine(ish) so we got straight on the flow board. This is about the same length of a wake skate but only two thirds of the width. Steph had done this before so she went first and was rocking it. There were some beautiful stacks and the sides of my face and stomach were hurting from laughing so hard. When you fall the water is shooting back with such power, it pushes you up the slope and straight into the wall at the top, only then to be pinned against it by the fast flowing water. Don’t let this put you off though because its hilarious! 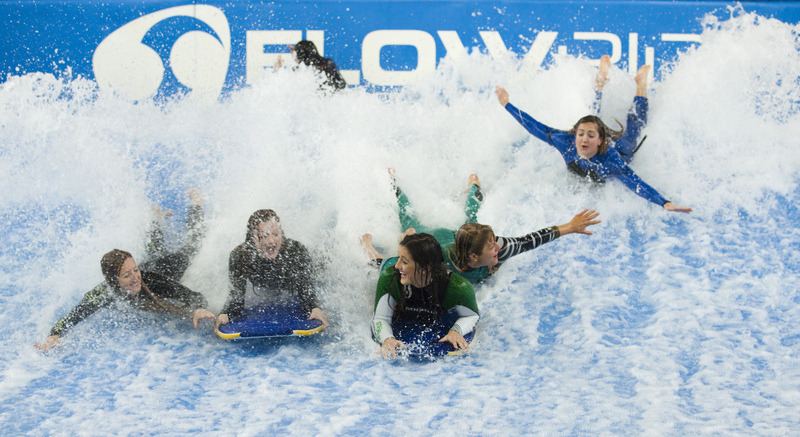 Our amazing wake skills played some part in riding the flow rider… but not enough to master any big tricks. Steph was putting in some turns, Jo was spinning to win doing 3’s and 5’s and I managed a little ollie. I think all of us were into riding switch – and most of us were better at that than our regular stances! Dropping in from the top was fun as you would get to the bottom of the wall, stand for a few seconds and then eat it, brilliant! Getting worked on the flowrider was followed by a relaxing sauna and hot tub session in the spa (yeah we were spoiled!). Hunger set in and a spot of dinner was had to line our stomachs before hitting Bedford town. Background info – I went to school in Bedford and totalled 11 years of my life commuting back and forth. It was the first place I ever went out and was the only place I went out for the duration of Sixth Form. However, since finishing school I can’t say I’ve been back? 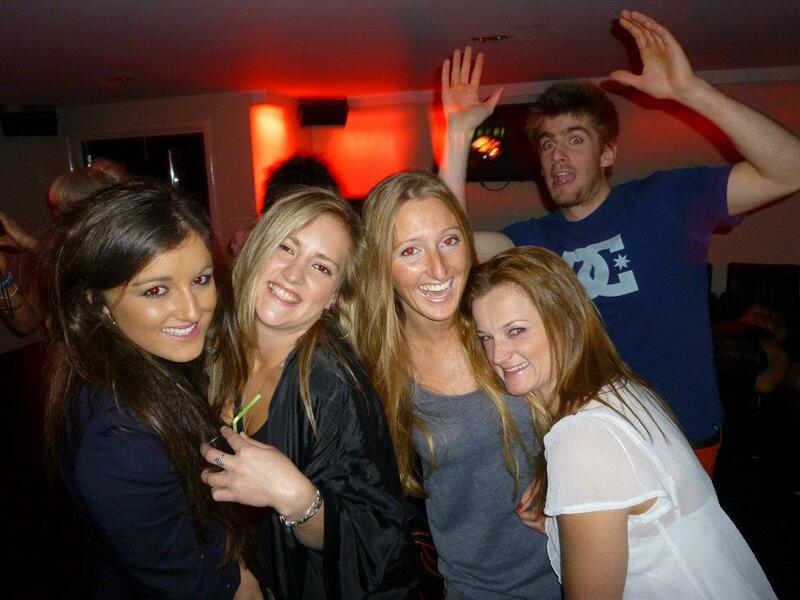 So nine years on, I was actually pretty excited to head out with the WakeGirls and the Flow House Team! We went to The Rose which hasn’t changed at all, and also the club Element, which was definitely not called that the last time I was there! This was the second stop of the WakeGirlsGo… winter tour and it was fantastic! MASSIVE thanks go out to Peirs at the Flow House for welcoming us in for the weekend, to our instructors Adam and Scott, everyone who came out in Bedford to party, Kay Ransom for taking some awesome photos, Nalu Beads, O’Neill, and Steph for organising the weekend. Big big thanks to everyone who made this possible, we had a blast. Haha this looks like loads of fun!! !